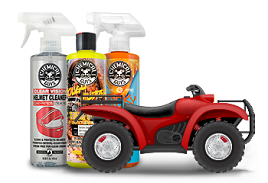 This Complete Car Care Kit features every product the enthusiast or weekend warrior detailer needs to keep their car looking its very best! Start by washing away abrasive filth and dirt with Mr. Pink Car Wash Shampoo and the Chenille Microfiber Wash Mitt for a scratch-free shine. 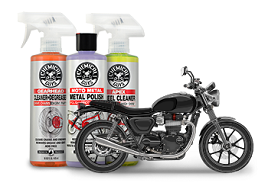 Blast away brake dust and restore deep gloss and shine to wheels, rims, tires, and brake parts with Signature Series Wheel Cleaner. Decontaminate paintwork and make it feel smooth as glass with the OG Yellow Clay Bar and synthetic Clay Luber, then remove any pesky swirls and scratches with VSS Scratch & Swirl Remover. 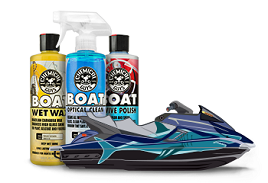 Shine and protect paint, metal, and glass against pollution, UV sunlight, birds, and bugs with a good coat of Butter Wet Wax spread to perfection with the UFO Foam Applicator Pads. Restore that just-waxed look with Speed Wipe Quick Detail Spray to remove fingerprints, bird droppings, and light dirt in between full washes, and always wipe with the 3 included Professional Grade Premium Microfiber Towels for scratch-free wiping on any painted or polished surface. Finish off every detail by removing dust and fingerprints from dashboards, door panels, and steering wheels with InnerClean interior quick detail spray, and make tires and bumpers look deep black and brand new with a crisp coating of Silk Shine dressing.